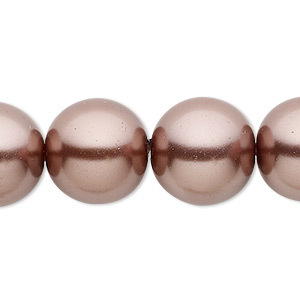 Bead, Celestial Crystal®, glass pearl, brown, 16mm round. Sold per (2) 15" to 16" strands. Bead, Celestial Crystal®, glass pearl, brown, 16mm round. Sold per 15-1/2" to 16" strand, approximately 25 beads. 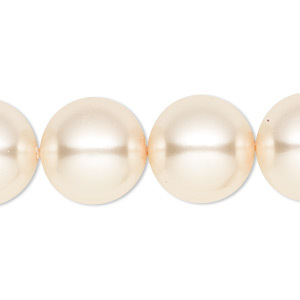 Bead, Celestial Crystal®, glass pearl, beige, 16mm round. Sold per 15-1/2" to 16" strand, approximately 25 beads. 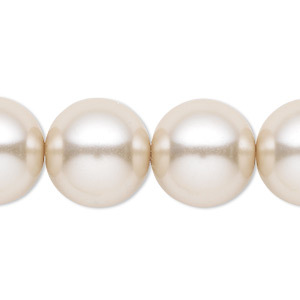 Bead, Celestial Crystal®, glass pearl, cream, 16mm round. Sold per 15-1/2" to 16" strand, approximately 25 beads. 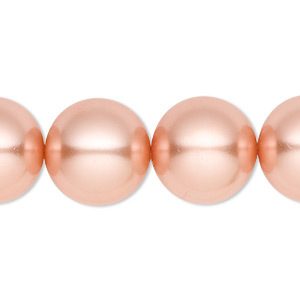 Bead, Celestial Crystal®, glass pearl, peach, 16mm round. Sold per 15-1/2" to 16" strand, approximately 25 beads. 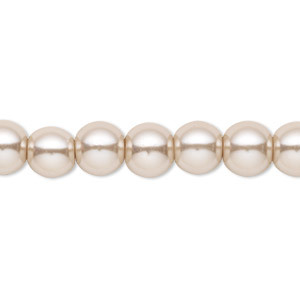 Bead, Celestial Crystal®, glass pearl, beige, 8mm round. Sold per pkg of (2) 15-1/2" to 16" strands, approximately 100 beads. 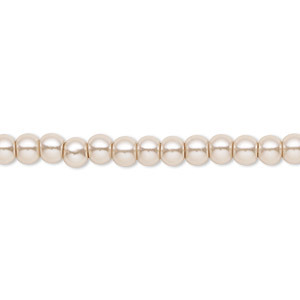 Bead, Celestial Crystal®, glass pearl, beige, 6mm round. Sold per pkg of (2) 15-1/2" to 16" strands, approximately 130 beads. 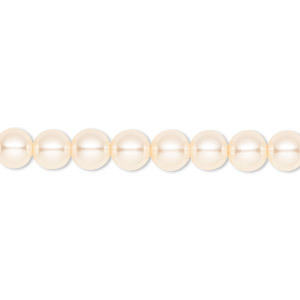 Bead, Celestial Crystal®, glass pearl, cream, 8mm round. Sold per pkg of (2) 15-1/2" to 16" strands, approximately 100 beads. 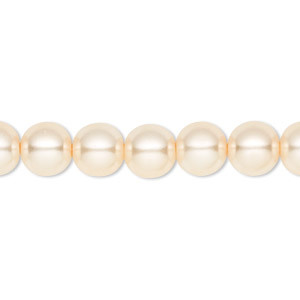 Bead, Celestial Crystal®, glass pearl, cream, 6mm round. Sold per pkg of (2) 15-1/2" to 16" strands, approximately 130 beads. 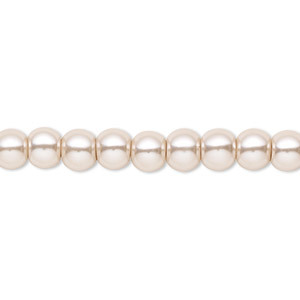 Bead, Celestial Crystal®, glass pearl, beige, 4mm round. Sold per pkg of (2) 15-1/2" to 16" strands, approximately 200 beads. 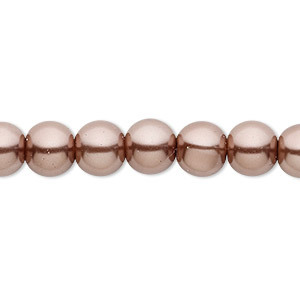 Bead, Celestial Crystal®, glass pearl, brown, 8mm round. Sold per pkg of (2) 15-1/2" to 16" strands, approximately 100 beads.